The best sound is required when you lift your soft palate while singing. 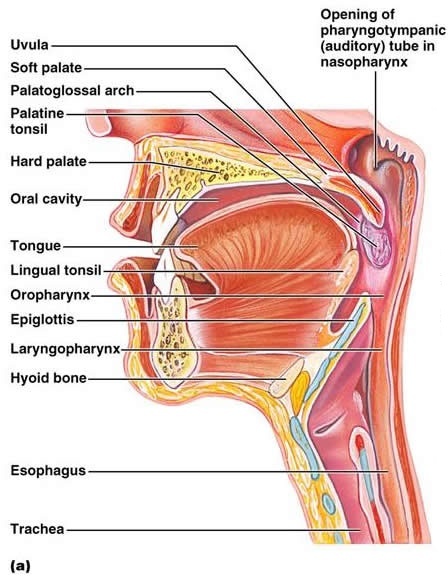 The sound that comes from your larynx will move through the mouth when the palate is lifted. 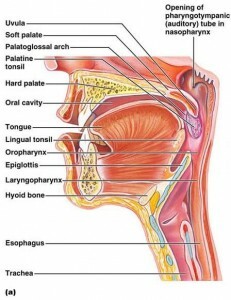 If you lower your soft palate, you will produce a nasal sound. A good way to check whether the sound travels through your mouth of nose is pinching your nose while singing a vowel. If you hear difference in sound while pinching several times during singing it means you are singing through your nose (nasal). If you hear no difference while pinching, you sing through your mouth. Your soft palate will also lift if you think of a ‘happy surprise’, smell a flower. Some vowels have less nasality than others, such as the “OO”-sound or the german “ü”-sound. When you protrude your lips you will also lift your soft palate. Voices sound better if the soft palate is lifted, but nasality can help you to improve your singing! When you use nasality, you will lower the airpressure under the vocal cords, which can be helpful when there is too much pushing of the voice. Many speech therapists and voice teachers use nasality when they work with people who have nodules, polyps or other vocal problems. High notes come easier and softer if you use nasality. This can come in hand when you need to sing high and soft, for example in a choir. Celine Dion is famous for her nasal way of singing. In the next video you will see Celine Dion and Whitney Houston singing Greatest Love of All.